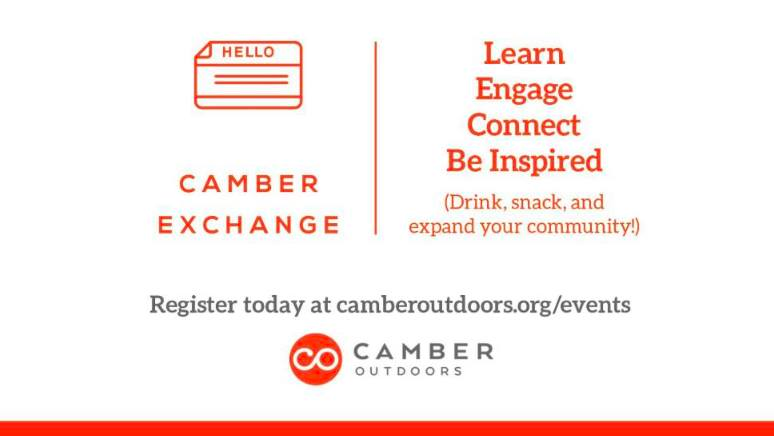 Join Camber Outdoors, Industry Nine, Roam Events, and REI Co-op for thought-provoking conversation and a chance to connect with leaders, entrepreneurs, and colleagues in the active-outdoor industries. Spark ideas, meet new friends, and leave inspired. Camber Exchanges are free for Camber Outdoors members, with a $5 suggested donation, and $10 for all non-members. All proceeds from this event will be donated to Latino Outdoors and OUT There Adventures. Rip laps on the i9 pump track before and after the event with fellow attendees. Roam will have their demo fleet of bikes, but feel free to bring your own bike as well! Thank you Industry Nine, Roam Events, and REI Co-op for partnering for this Camber Exchange! Thank you to Bell and Giro for sponsoring the 2019 Camber Exchanges!